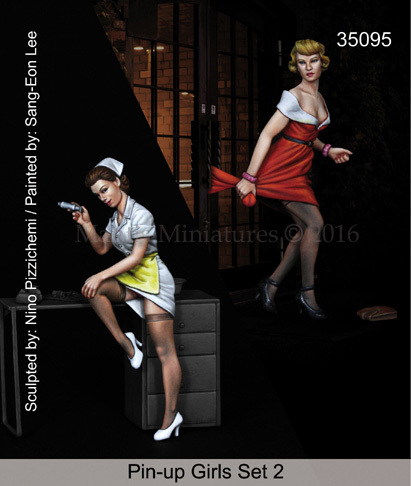 Seen armed with a nurse's uniform and a needle, she is about to administer the cure for your ills from her desk. 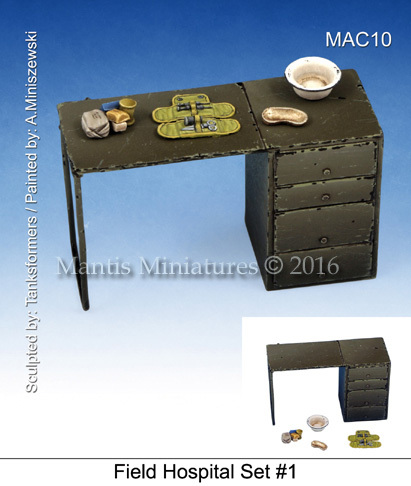 This desk is available with the hospital accessories you see in a separate pack to this figure from Mantis. It is also on sale now. 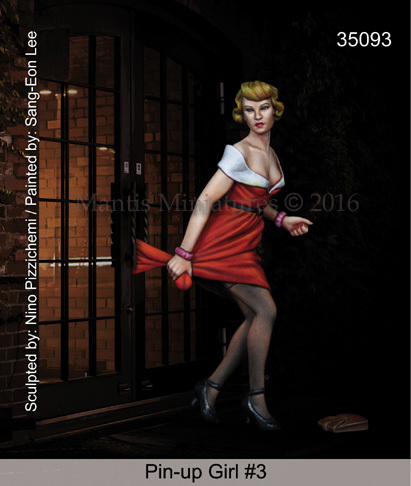 This lovely lady is seen in a pretty classic Pin Up pose - with her flowing frock caught in the door to show off her excellent pins - she drops her purse and some of her composure at the same time. 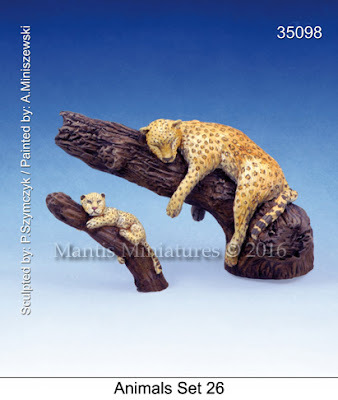 This set of two big ( well one not so big) cats is featuring either a Jaguar or a leopard, Jaguars are bigger than the leopard, though jaguars and leopards both have coats that feature rosette patterns, a jaguar’s rosettes have spots inside them. Both jaguars and leopards can have either golden coloured fur or black. These two are seen sitting on a dead stump of the tree. The baby is seen sitting on the street in a very similar way tot he adult big cat. These bits of tree can be placed into the body of a tree you are making. 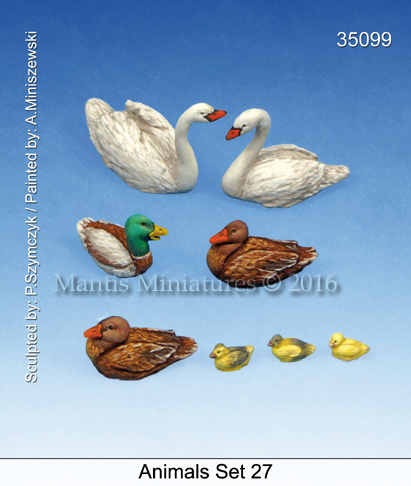 On golden pond - that is where these waterfowl can be found - European (white) swans are here in a pair, along with two female ducks and a handsome male duck (with the green feathers) are included. It seems one of the female ducks has been up to no good - she has three ducklings in tow in this set as well. This new set of five parts in grey resin is seen here. The desk and open medical kit could fix some light wounds we think, so it's good for an outdoor or small medical diorama scene. Some medical satchels, a wash basin and an open surgery bag with one of those kidney shaped metal trays they always drop bullets into in the movies - are included here. 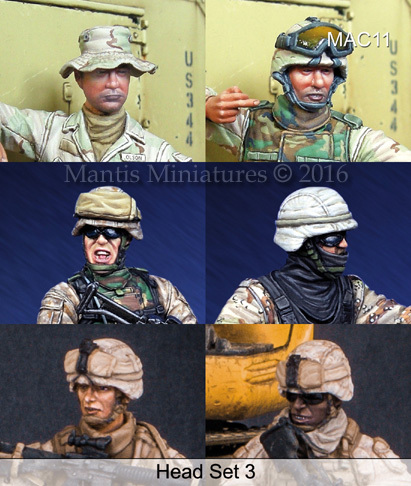 A set of six different heads from Mantis Miniatures recent modern US soldiers. These see a variety of head and headgear choices for you to add to or improve the base figure you may have. These will add a different look from what is in the donor kit. If you were looking for some smaller scale Wehrmacht tankers, well Mantis have not forgotten you! 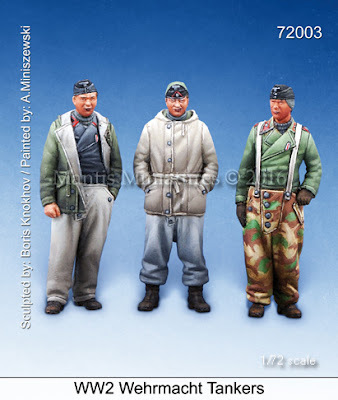 These three tank men 1 tanker, 1 assault gunner and one other tanker who we were not sure which branch he is in - have warm winter clothes on which make them suitable for a winter Europe or eastern front scenario. They are all full body sculpts which make them great for inside or outside of their vehicles or open-hulled tanks. 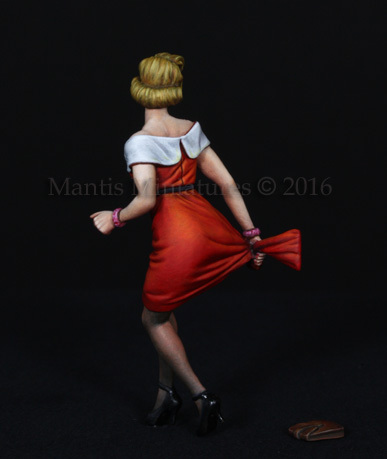 These three figures fit into the three others already released from Mantis Miniatures. 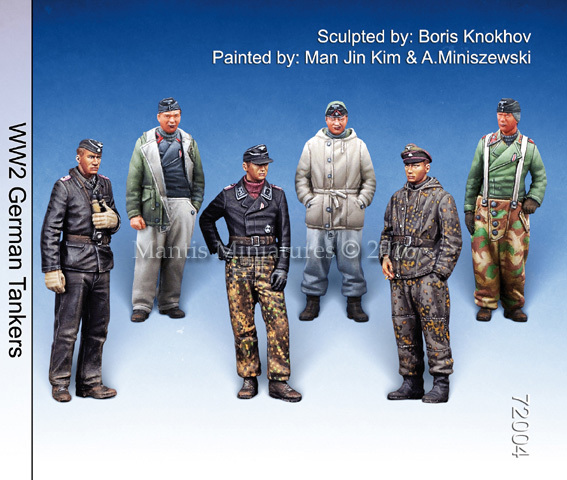 All of these six are one piece figures that will be great for all of the new 72nd scale tanks coming out recently.